Optingun now offers pre-coded integration with MailRelay, now you can convert your website visitors to subscribers and drive them through MailRelay to grow your sales/business in minutes. MailRelay is an email marketing platform created in order to satisfy email marketing needs from small business ranging to big companies. Small business or entrepreneurs can use the biggest free email marketing account which can send up to 75.000 monthly emails to a list of up to 15.000 subscribers. Big companies get a dedicated email marketing support service, and many other features, like the possibility of adapting the service to their needs, especially useful if they use a CRM or need to use or API. Now Optingun lead automation works with MailRelay, if you are using MailRelay and thinking of driving leads to it from your web pages then we offer pre-coded integration, you don’t need programmer or coding skills to do it. #2 URL of your account, MailRelay gives you specific URL for your account and you need to save that in Optingun for connecting these two. Note : MailRelay API key is containing “.” in the end, make sure you don’t copy that along. Go to Optingun Dashboard>API Configuration and put your MailRelay Key and MailRelay Account URL in MailRelay related fields and your connection between Optingun and MailRelay are connected automatically. How to drive leads to MailRelay from Optingun? In your Optin Form list, inside Optingun Dashboard, edit the Optin you wish to drive leads from and go to Integration tab in the left side-bar menu. Now choose MailRelay in the Integration select box and enter the MailRelay Group ID in the field below to the select box and click “Add Integration” button, Group ID is the ID of Group in MailRelay, by this you will see a record saved in right side panel showing MailRelay is connecting to your entered Group ID and save the form now for changes to apply. That’s ALL, your form is ready now, your leads captured from this form will be added to MailRelay automatically and goes through your autoresponder/mail automation without any break. 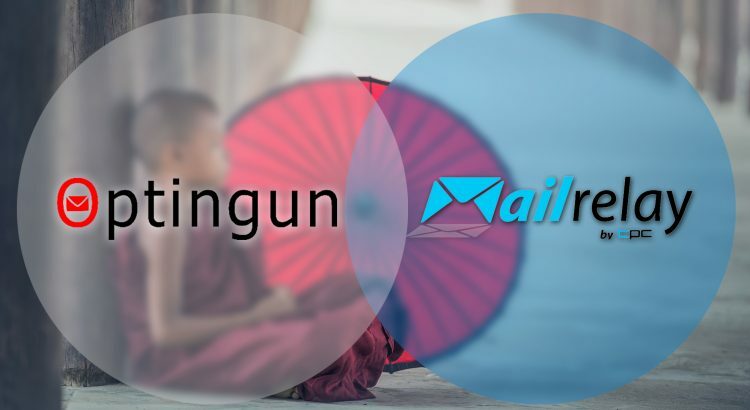 Let us know if you face any problems in connecting MailRelay with Optingun.